To get started please select your location and create a free account. To select your location, enter the name of your city, county or state in the search box and click the "Search" button. Once you're at the proper FMC site, click on "Create an account" at the top of the page to create your free account. 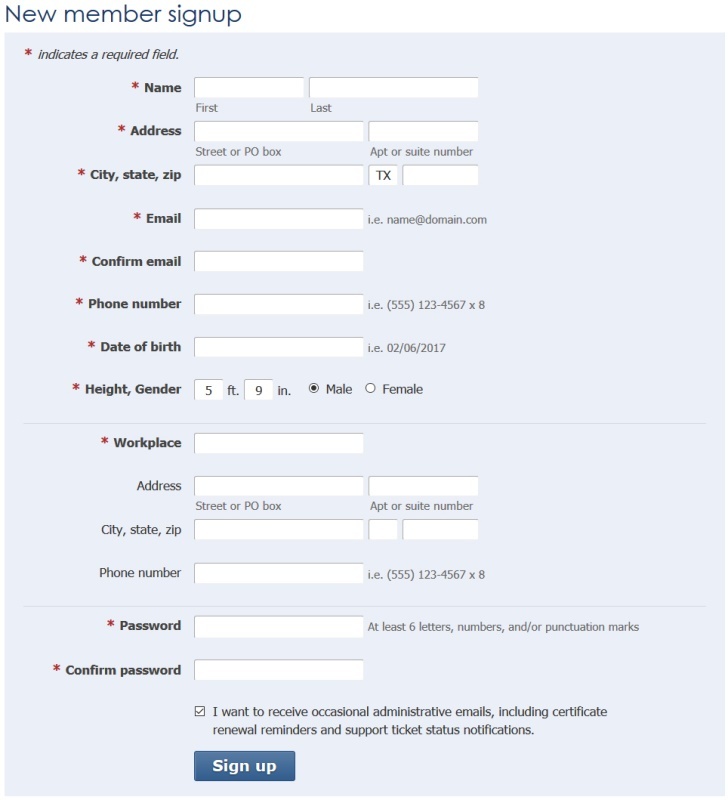 To complete your account, fill out all required fields and then click Sign up. An email notification will be sent once the account is created with your unique login and password. You can optionally validate your account through a validation link in the email. Once the account is validated, you will not see the security phrase check system, as described below. 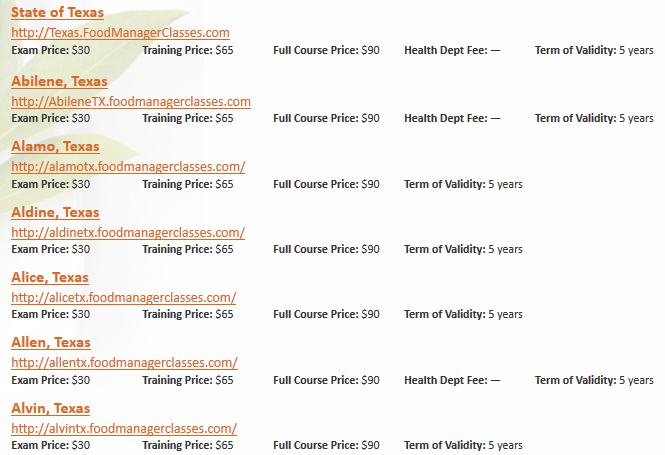 You will then be taken to the Courses page to select the course you are interested in purchasing. Your billing address should already be filled in for you, but you can make changes if needed. Next you will be required to enter your credit card information. Click Review Information to continue. 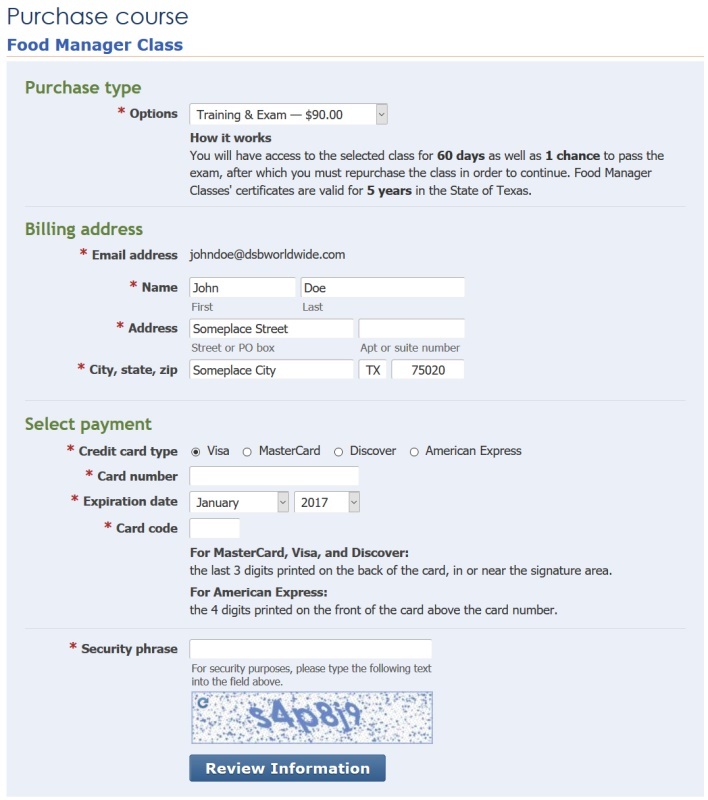 The Review Information page allows you to review the billing and credit card data before attempting to process the transaction. 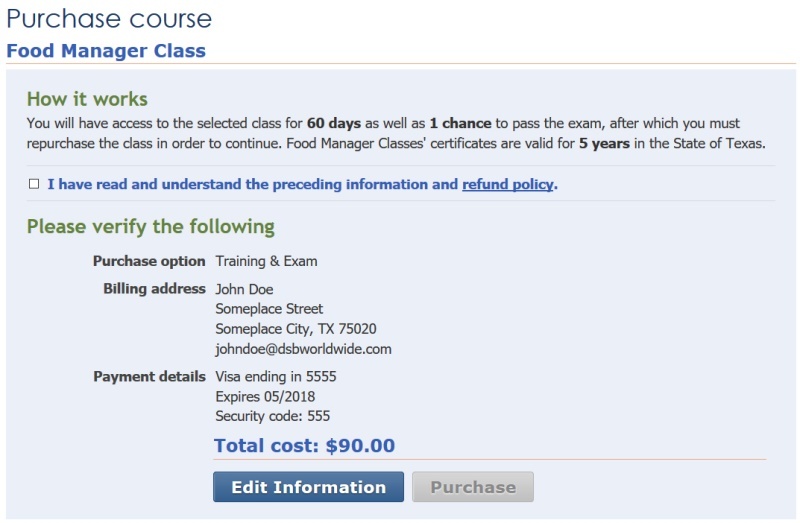 The student/client must check the box stating "I have read and understand the preceding information and refund policy" before the Purchase button highlight to allow you to complete your course purchase. Once the Purchase button is highlighted, click the Purchase button to complete your purchase.